Matching your watch with an outfit can be as simple as one, two, three. But, it can also be nerve-wracking if you lack the basic knowledge to do it. To achieve style – and class – you need to take certain dress codes at heart to be able to make the right decision. Forget these digital natives with their faces glued to their phones; if you know better, and I’m sure you do since you are reading this, matching your watch with an outfit is in and of itself a form of art. Your very soul is imprinted on the watch you are wearing, and your choice of apparel hinges on this piece of jewelry. It’s a choice, and that choice reflects your personality, your innermost desires and tastes. But, strapping on anything that first comes at hand is a one-way ticket to embarrassment, so carefully follow these guidelines to know what goes with what. I’ll just instantly throw a rule of thumb your way in order to make things very simple to remember. 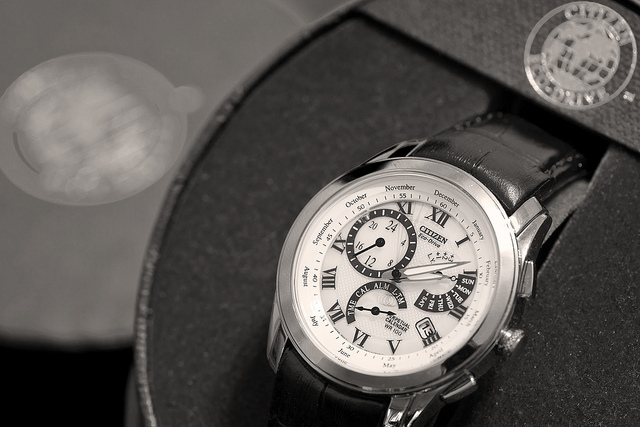 Outfits and watches have levels of formality, and that formality needs to coincide in a harmonious existence. It’s like matching colors when you are wearing something non-committal every day, yet you are still concerned with not to have every possible color on you. Same goes with clothing and watches. Let’s start with simplicity. Bear in mind, simplicity doesn’t mean simple in the literal sense; it means that if you are wearing a black tie (widely known as tuxedo), or white tie – generally dresses worn for certain special occasions – you do not want to look extravagant and flashy. The formality that goes with formal dresses requires little concern over time, and for that there’s only one watch that makes it suitable – the dress watch. Dress watches come in a variety of styles, gold, white gold or silver, and anything is fine as long as you keep it simple, keep it light. Business formal dresses, on the other hand, are worn day-in, day-out, and are more versatile in terms of what you can wear them with. Your choice isn’t that restricting, though you certainly do not want to pass as being frivolous when at a meeting or a business deal just because you made the wrong choice – which might point to the fact that you are being unprepared or just plain uninformed. So, dress watches are obviously good to go if you are wearing a dark suit. Now, diver’s watches are also a possibility, and it’s curious how they got themselves bumped into being more formal while still maintaining their functionality. High-profile companies that make diver watches are usually the best choice. If you are wondering whether your bridge watch or skeleton watch might be a good idea to wear with a formal business suit, then the answer is: Yes, you can. In fact, they match perfectly. This is your everyday go-to watch that you put on when you go to work. You wake up in the morning, wash up, prepare and then you put on a suit. Your non-formal, neck-tie optional business suit. Though somewhat surprising, all sorts of watches can potentially match your casual business outfit. The reason I say “potentially” is because as with almost anything involving common sense, it requires you to make a pretty decent judgment call. It goes without saying that these rules aren’t carved in stone; they are more of what you consider guidelines that you need to take into consideration before making that choice. Jeans, shirt, a pair of shoes pass as casual nowadays. Unlike 17-th century jackets, narrow coats, breeches and a pair of squared-toed shoes with a wig as a bonus. Seriously though, dive watches, field watches, sports watches, pilot watches, or other military-style watches could easily be matched with casual outfits. Be careful though not to make the mistake I described earlier. You might think you can get your clothes to work with a diver watch, and you might be right, but make sure you aren’t overstepping any boundaries, or more accurately bouncing high and low on formality levels. Fancy yourself an athlete? There are only a few watches you can wear while you do sports, depending on the kind of sport you are into. If you are only sporting recreationally, then I personally believe you can make any watch other than a dress watch suitable to wear. For professionals, you might have noticed a couple athletes wearing chrono watches or field watches, which tend to match better than others, although with some reservations.I’ve done a fair deal of running playing tennis, and after a while it feels uncomfortable to wear one as sweat starts pouring into your forearms. Some watches, I’ve noticed, can get blurry, so it takes a while for the steam to evaporate. Field watches are also very functional as they are specifically designed for comfort and are very easy to use. However, not only athletes wear sportswear. If you are one of those who enjoys comfort above all else, and maybe even go to work in one (I strongly advise against it) then you should consider either a field watch or chrono watch, Though technically, you can wear any watch with sport clothing, if you are at least a tiny bit fashion-savvy. Matching is really a no-brainer. In practical terms, brown leather belt matches a brown leather band. 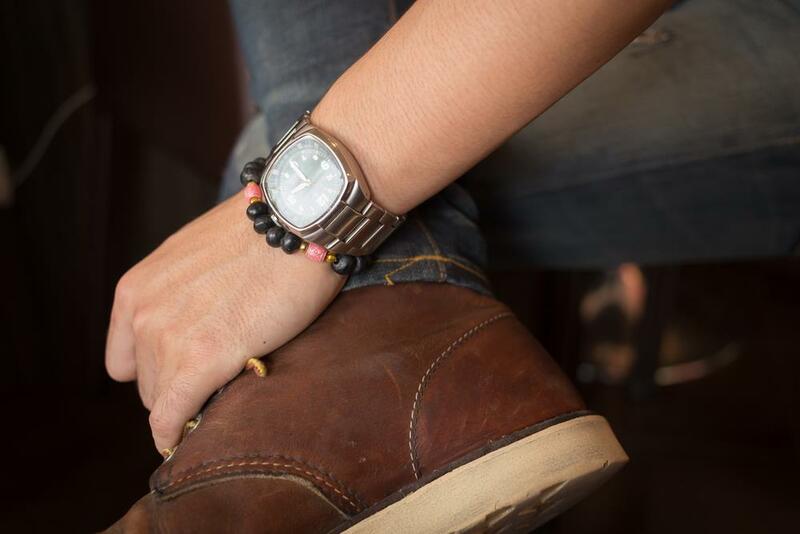 Certain watches can switch between bands, from dark to brown for example, making them extremely practical when matching your belt or your shoes. Never try to mix different colors. The metal on your watch follows the same principle. A gold metal fairs poorly against silver belt buckle; it’s like night and day. What you are looking for here is a nice touch which you can develop after looking more into certain colored metals. And finally, my personal favorite – heirlooms. Heirlooms are rule benders. Or more like rule breakers. You can watch a nice pocket watch, an old scratched watch, whatever you have lying around from WWII, and it matches anything and everything. One final piece of advice: class comes from within. Sure, you’ve come to the party dressed pitch perfect, but people tend to notice more what’s stored within than “without”. So, stand up straight and look confident, and your outfit and watch will beacon it.